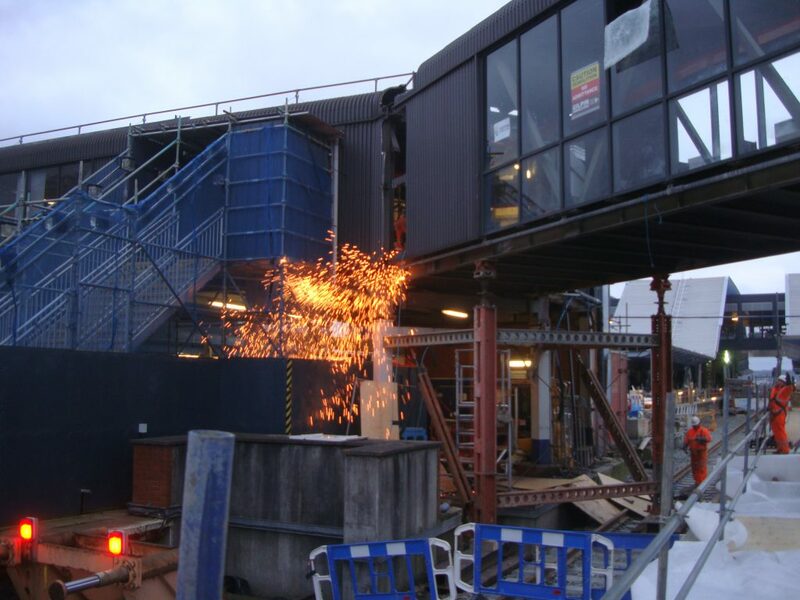 Andun Ltd were approached by HCJV (Hochtief Costain Joint venture) to provide a methodology and Form C documentation for demolishing the original footbridge located at Reading station. The footbridge was a significant 110m long structure formed of 4 main spans with smaller link spans between them. The two Southern spans (1 & 2) were 8.5m wide, while the two Northern spans (3 & 4) were 4.5m wide. 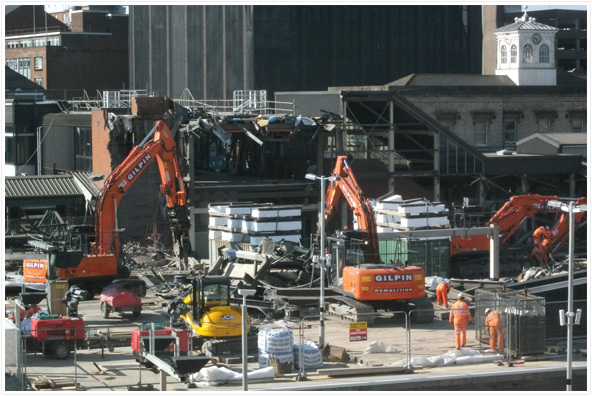 The demolition was undertaken by Sam Gilpin Demolition. 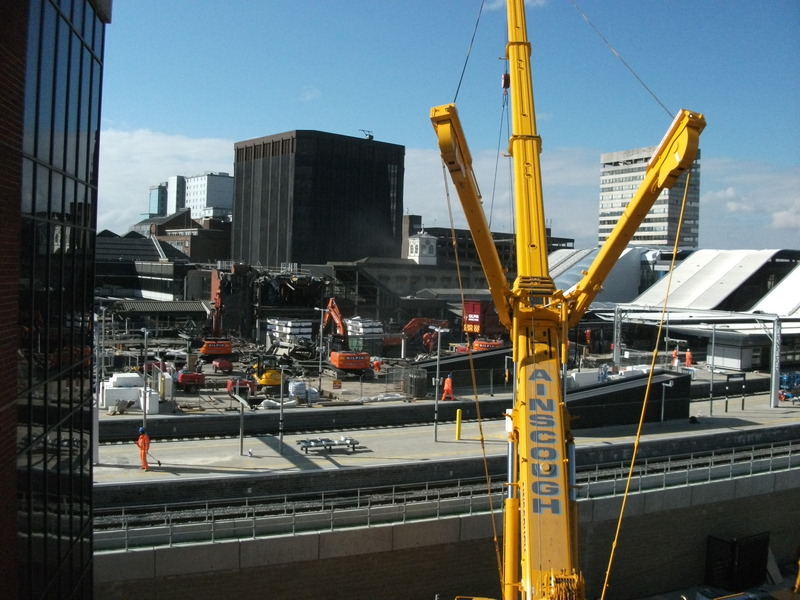 The positioning the 500 tonne crane, which due to site constraints, required a complex design of outrigger pads because of the presence of services and manholes below the outrigger locations. 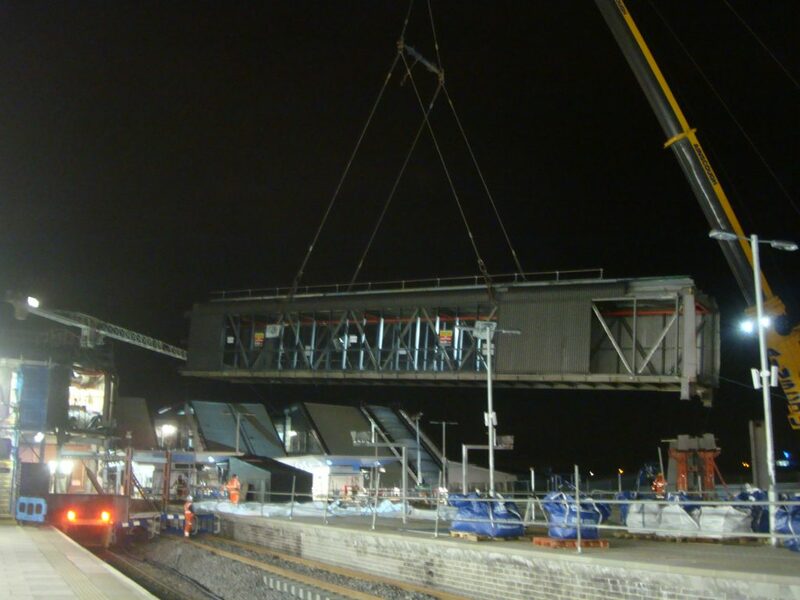 The works were successfully completed during the Easter 2013 shutdown of Reading station.